The #MeToo movement gives private companies plenty to consider when it comes to professional liability coverage. Social movements serve as a wake-up call to society and the business world by commanding attention and demanding accountability. The #MeToo movement has shaken up a number of industries, including entertainment and media powerhouses. The sheer number of sexual assault and harassment allegations that have emerged since the #MeToo movement’s appearance in 2017 should make it clear to companies that people are now more willing to come forward with claims against their employers. While some people fear coming forward with reports of sexual harassment, because they worry they won’t be taken seriously or might lose their jobs or face other types of retaliation, overall, I anticipate our industry will see claims increase as a result of #MeToo. Potentially large settlements and judgements aren’t the only damaging outcomes resulting from sexual harassment claims. The media coverage that accompanies such claims can send a company’s valuation into a downward spiral. This new reality in the corporate world should motivate private companies to be sure their company’s culture promotes a safe working environment free of harassment and discrimination. 1. Establish preventive measures and be proactive and responsive. Consistently use documented hiring procedures. Keep the company employee handbook and related policies up to date. Offer training for employees on workplace discrimination and harassment. Establish an anonymous hotline for reporting harassment or discrimination. 2. Obtain comprehensive insurance coverage. Employee complaints may include age, racial and disability discrimination; sexual harassment; and retaliation. Make sure your company’s insurance coverage program will respond to all of these types of legal and/or regulatory actions. 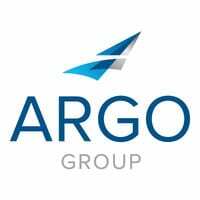 For instance, Argo Pro’s Private Company PROtectSM is a customizable management liability package that offers private companies a range of coverage, including employment practices, fiduciary, and directors and officers (D&O). Make sure your company’s insurance coverage program includes coverage for its directors and officers. Directors and officers have a fiduciary responsibility to provide a safe place to work, and they may be sued for failing to do so. Private Company PROtectSM offers D&O coverage. 4. Consistently enforce employment policies and procedures. When a company fails to enforce its employment policies and procedures, it may increase its exposure to the risk of employee claims and negatively influence its ability to successfully defend against such claims. Confirm that employees have signed off that they received their employee handbook, including its harassment and discrimination policies. Confirm that employee training is current, comprehensive, easily understood and completed by all employees. No matter its size, a private company that fails to be proactive and responsive when it comes to ensuring a workplace free of harassment and discrimination may become vulnerable to claims that could damage its reputation and bottom line. Companies would be wise to pay attention to social movements that target these issues and make sure they are providing a respectful workplace for all of their employees. Christine Schneider is vice president of Argo Pro. The views expressed on this site are exclusively those of the author, and all of the content on this site has been created solely in the author’s individual capacity. This blog does not intend to provide legal advice. You should consult with your own attorney in connection with matters affecting your own legal interests. Sue Coates, president of Trident Public Risk Solutions, is motivated by helping people – her team, their clients and the communities that the company serves.